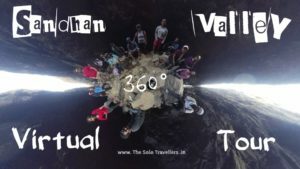 Experience the real wild adventure at Sandhan valley with trekking and camping experience with your family and best buddie. We provide you adventure activities such as rappelling, trekking and more events. Sandhan valley is listed as No. 2 Valley in Asaia, Valley is situated in the Sahyadri mountain ranges. It is a very good combination of a canyon and a valley, Located at Samrad Village. Trekking through the valley with 300 ft rock walls on both the sides is a lifetime experience. We have basic amenities at campsite, such as Tents on sharing basis for 3-4 people.